There’s nothing wrong with taking a baby to the beach. The main problem (which is dangerous) is when we get babies to spend time at the beach for a long time and during the hottest parts of the day. Sorry, parent reading this. You will need to change your expectations of relaxing beach holidays. If you’re taking a young baby to the beach, he/she becomes the priority: No more long hours of sunbathing in the midday heat and no more aimless wandering in search of serenity and peace. It’s a great place for a baby to explore his senses and breathe the fresh salty air. Note: This isn’t medical/professional advice. Ask appropriate persons if you are a bit unsure of the advice here. How to keep baby cool at the beach? Can babies burn in the shade? I have taken my son once or twice to the beach when he was less than 6 months old. We went in the early morning on a temperate day. He enjoyed the strange sounds as well as the feel of the sand on his feet. We didn’t stay for very long. We went in the early morning before the sun got very hot and stayed for about 30 minutes. 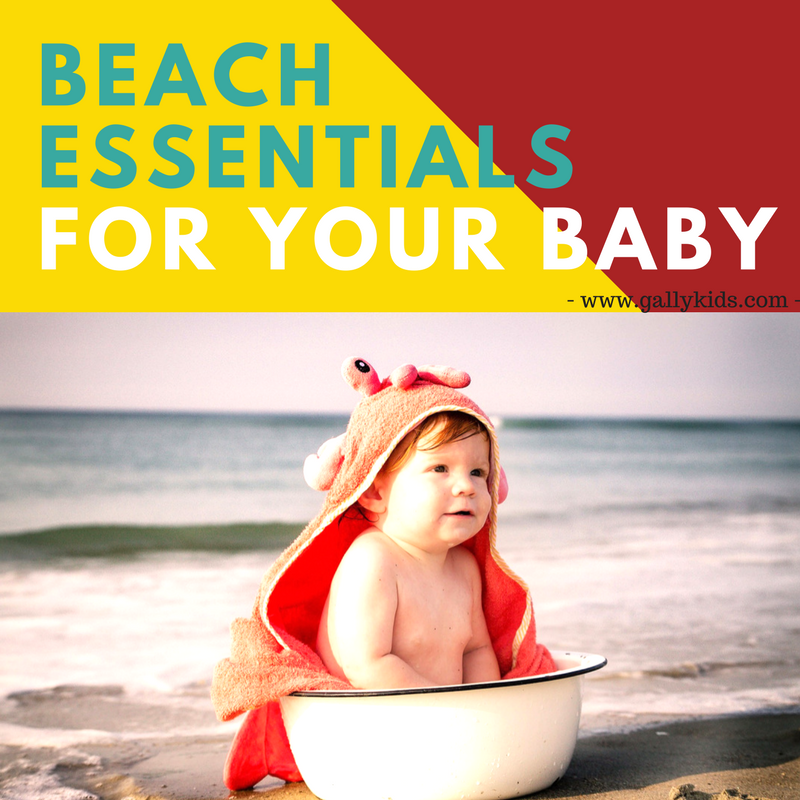 If you plan to take your baby to the beach, here are some beach essentials for baby to make sure it’s a fun, safe and memorable for everyone. The sun is good for babies but it can quickly go downhill and dangerous if you don’t put some very simple precautions. Babies burn very quickly in the direct heat. 20 minutes in direct sunlight is too long for a baby to make sure he is protected from the sun’s rays when you’re out and about. As much as possible, refrain from having babies less than 6 months old in direct sunlight. A baby’s skin is VERY sensitive. Early morning (before 10 am) or late afternoon sun (after 4 pm) are the best times to take your baby to the beach. The hottest parts of the day are not safe for a baby even when under a shaded tree, UV tent or with a UV-suit. According to the American Academy of Pediatrics, for newborns and babies under 6 months, you may apply a 15-SPF sunscreen in areas that are exposed to the sun such as the face, neck or the back of the hands. For babies older than 6 months, you may liberally apply sunscreen to all parts of the body. Preferably use organic sunscreen that is gentle on a baby’s skin. Also, find a sunscreen that has both titanium oxide and zinc oxide in the list of ingredients. Always make sure your baby rehydrates more often than normal. You may have to change feeding schedule at this time, making it more often than on a normal day inside the house. 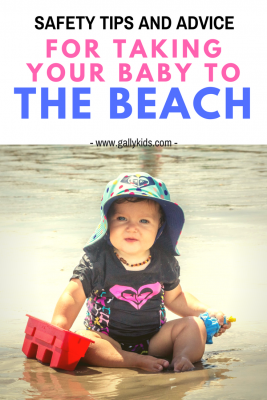 Taking your baby to the beach? Know that this trip is not about you. Yes, enjoy the beach and the open air, but with a helpless baby in tow, you’ll just have to accept your baby comes first. Side note: The first time we took our son to the beach, we only had a stroller with us (it was very difficult to lag around, but there you go!). Also, we didn’t stay for a long time, so when he wasn’t in the stroller, he was in either my husband’s or my arms. Listed below are some baby stuff you may need to make your beach excursion a comfortable one. You don’t have to take all of these. You can be as minimal about it as possible (my kind of thing!). As soon as you get to the beach, find the shadiest place, under a tree if there’s one. In many beaches, however, this isn’t possible. The next best thing is to take the shade with you! One that you probably already have is a beach umbrella. But what I prefer are baby beach tents with UV protection. It’s a good shady place for your baby to stay in and if you buy a big one, your family can get in it, too. Click here for the best baby beach tents with UV protection. If you’re not staying too long at the beach, a stroller with a UV cover/mesh is a good alternative. Try to go in the early morning or late afternoon. Refrain from going in the midday heat which is when the sun is strongest. If you can’t find a shade or a UV tent, then stay at the beach for 10 minutes and go back to your hotel room, or to a covered restaurant. It’s just not worth taking the risk. 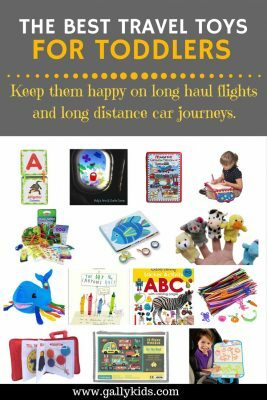 A lot of times, you won’t need to take a lot of toys especially if you and your partner can take turns entertaining your little one. However, if you would like some time to also be able to get your baby to lie or sit down, you may again need some extra things for this. Stroller – It’s a pain to take with you in the sand, especially when it’s a heavy one. But once you’re settled, it’s a great place to have your baby sitting in for a few minutes when you need a little break. It can also be used for her when she’s sleeping especially if it has a UV/mesh protection. Important: In hot humid weather, strollers can get very hot, so don’t leave your baby in it for a long time. Beach tent – As mentioned above, baby beach tents are great for shade and protection from the heat. It’s also the perfect place for your baby to be able to sit or lie down. Chair: A baby beach chair is great for both inside the tent and out in the sand. Beach mat: A lightweight alternative a baby chair. If you don’t want to carry a lot of things with you to the beach, have a beach mat. The sand is interesting to your baby (especially the older ones). Watch him vigilantly. One day, (if he’s already at the grasping stage), he is going to want to pick a handful and put it in his mouth. Watch out for any sharp objects in the sand too like broken shells or even broken glasses. Don’t take your baby to the beach when the water is very rough. Yes, there’s a possibility that he will like it, but there’s also a chance of danger that you just don’t want to take with these little ones. If you must go in to the sea, make sure you check the water conditions beforehand and know where the lifeguard is. Play in the water: Always be very close by when you do this. All it takes is one big wave to topple your baby over in the water. Just enjoy the sea. Great for developing sensory motor skills. Just how cute is this baby in the video? A tent with a pool. Yes, that’s right. There’s a big wide ocean a few meters away full of water. But why not have your baby’s very own pool right next to it? Check it out. The recent APA guideline cites that you may put sunscreen on babies under 6 months old on parts of the body that are exposed to the sun like the hand or the back of the neck. For babies older than 6 months old, liberally apply sunscreen when you go to the beach. There are a few things you can do. The first and most important thing is to go to the beach when it’s not that hot. This usually means before 10 am and after 4 pm. Shade is another thing you should be vigilant of. This can be either under an umbrella or a tent. Don’t forget though that when it’s very humid or it’s a particularly hot day even a shady area or a tent can be too hot for a baby. For most babies, it’s advisable to not have direct sun exposure for more than 20 minutes. Go back to your hotel or a covered restaurant. You will have to have your wits about you when it comes to protecting and keeping your baby cool at the beach. There are a lot of things to consider. How hot is it? At what time of day are you out? Where in the world are you? When it’s a very hot summer’s day, the best thing you can do is not to take your baby to the beach. The short answer is yes, i.e if he’s in the shade for a long time. Make sure he is in a protective beach suit. Put him in a sun suit that has long sleeves, make sure he has a hat on that covers his ears and the back of his neck and get him one of those UV sunglasses as well. 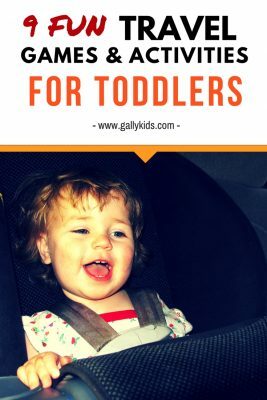 It’s no fun and he’ll probably tease you on your fashion sense when he’s older, but this is what you need to do for your baby if you want to go to the beach. At any rate, the beach is a great place for a baby for sensory exploration and to breathe the fresh air. It’s also hopefully going to be a very fine relaxing day for the whole family.